This film takes you on an extraordinary journey into the world of the Surrealists as the life and accomplishments of the surrealist collector, poet, and architect Edward James unfolds. 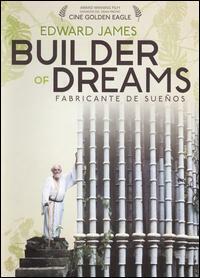 For the last 20 years of his life, aided by 40 full time laborers and craftsmen, he built one of the biggest and yet least known architectural monuments of the 20th century,dedicated to Surrealism and hidden in the jungles of Mexico. He created over 36 extraordinary concrete structures, some over 100 feet high, at a personal cost exceeding 5 million dollars.